Arsenal bosses are keen to see the progression of the club under Unai Emery continue and have identified two top young talents as transfer targets, as they look to further strengthen their squad in January. Head of recruitment, Sven Mislintat, has been busy planning for the future at the Emirates and has identified Rennes' forward Ismaila Sarr and prodigious Bayer Leverkusen teenager Kai Havertz as primary targets. Since the departure of Arsene Wenger, Emery has spent £70 million on players. Granted, the north London club's budget is a little more modest than that of PSG, where Emery was able to bring in ​Kylian Mbappé and ​Neymar for a combined total of more than £320m - in the same season. But, as ​Arsenal set their sights on a return to the top four and even contend for the title in the future, they are eager to lure Europe's most highly rated youngsters to the Emirates to develop and grow under Unai Emery's regime. Winger Sarr represented Senegal in this year's World Cup, and has already enjoyed a good start to this campaign playing 10 times for Rennes, scoring three goals and creating one assist for his side. The 20-year-old has previously been linked with ​Inter and ​Tottenham and reportedly rejected ​Barcelona to join his current team a year ago. And with all the talk surrounding ​Aaron Ramsey's future, Mislintat has been monitoring Leverkusen academy graduate Havertz as a direct replacement for the Welshman. The 19-year-old, who can use either foot, plays primarily as an attacking midfielder and became the youngest player in ​Bundesliga history to make 50 appearances earlier this year. This campaign has also seen the German in outstanding form, scoring four goals in 10 games as well as providing three assists. 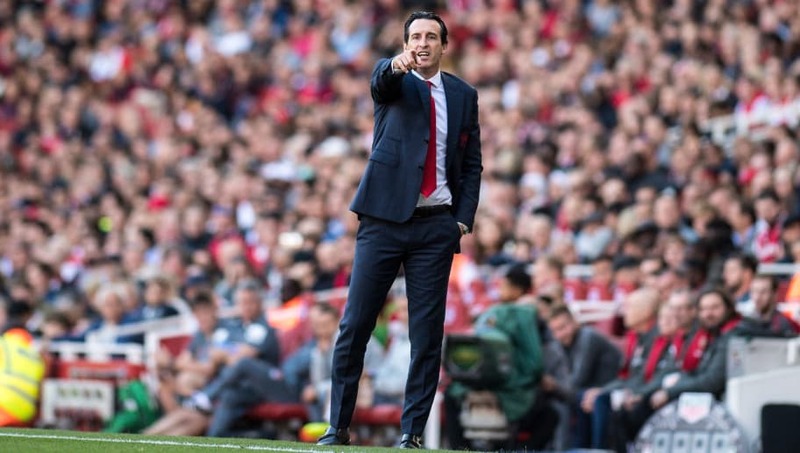 Arsenal return to action with a trip to ​Leicester on 22nd October, and Emery will want to see his side continue their improvement after beating Fulham 5-1 in their last game, stretching their winning run to nine games.